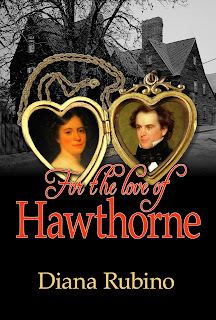 I'm very happy to announce my upcoming release of FOR THE LOVE OF HAWTHORNE, about Nathaniel Hawthorne and his wife Sophia. Sarah’s son Peter had kept a journal the family passed down to the Peabodys. Sophia sensed his presence every time she turned the brittle pages and read his words. 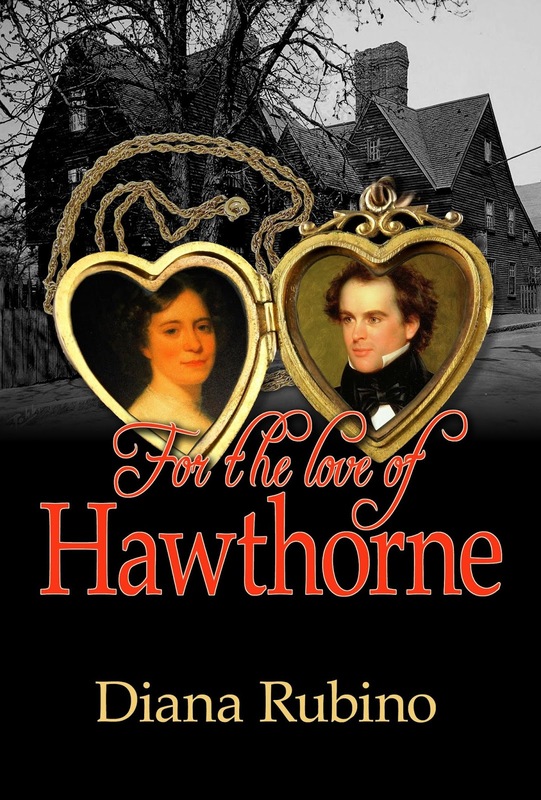 John Hathorne’s legitimate son John also kept a journal, now in the Hawthorne family’s possession. Living on opposite sides of Salem, Peter and John wrote in vivid detail about how the Salem trials tormented them throughout their lives. As success eluded Nathaniel, they lived on the verge of poverty. After being dismissed from his day job at the Salem Custom House, he wrote The Scarlet Letter, which finally gained him the recognition he deserved. But the curse he believed Sarah cast on his family still haunted him. On a visit to his cousin Susannah Ingersoll at The House of the Seven Gables, Sophia spotted a judge’s gavel. Out of curiosity Sophia picked it up and a shock ran through her as if electrified. She dropped it, instantly knowing it carried something evil. Susannah told her Judge Hathorne had used it during the trials. At that moment Sophia knew what she needed to do. “We’re going to The Gables. Only there can I make sure Sarah forgives the judge.” She invited renowned spiritualist John Spear to The Gables. She explained that she needed to complete one final step to convince Nathaniel the curse was lifted. 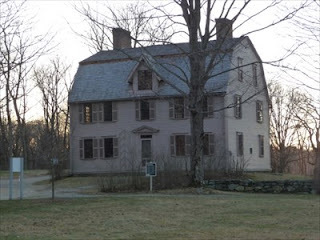 At The Gables, John asked Susannah if anything in the room was connected to the witch trials. She retrieved the gavel and handed it to him. As he curled his fingers around the handle, he told them that the judge suffered lifelong anguish after condemning the victims. He didn’t publicly atone because he needed to carry out his duties as a judge. His energy, his essence, was still attached to the gavel. He told Nathaniel that his belief in the curse fed this object, physically creating a monster. Nathaniel bowed his head and whispered his forgiveness. A ghostly mist formed in the doorway. Sarah conveyed to Sophia through the ether what she needed them to know. As she faded to nebulous mist and vanished, Sophia assured Nathaniel that his forgiveness of the judge now balanced out the suffering of the victims. She turned to the last page of Peter’s journal and saw words that were not there before: Dear John, I forgive you. Signed, Sarah Good. John Spear, Nathaniel and Sophia went to Judge Hathorne’s gravesite to give the journals and the gavel proper burial. I read several of his books and stories, to get a better background on him for my book. He wrote from the heart, about his true beliefs, and his loathing of how the witch victims were treated. He did consider it disgraceful, and it certainly was. He added the 'w' to his last name to distance himself from the judge. That tormented him and his family all his life. It must have been cathartic to him to have his writing as his outlet. I live near Salem and have been to all the Hawthorne landmarks there, and in Concord. 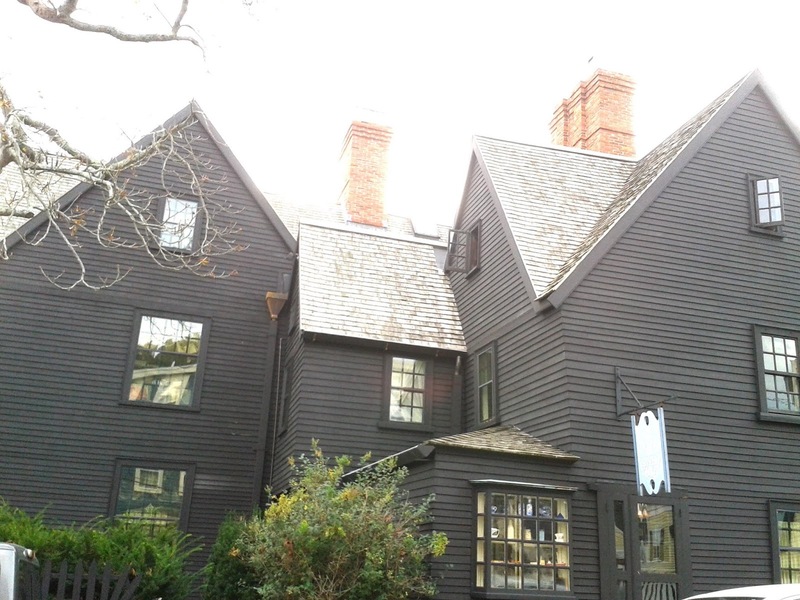 The House of the Seven Gables has been my favorite house in the world since I'm a kid. I've always felt a strong spiritual connection to Salem, and always wanted to write one of my books set there, and include the witch trials.